Volunteers are needed to set up the display tables and decorate the tent, to staff the tent throughout the week and the help take down the displays and decorations at the end of the week. Set up takes place during the daytime on Saturday before the fair week. Morning volunteers must arrive early to make sure the tent is open at 10:00 AM. Volunteers must stay late on the final day of the fair to take down displays and decorations immediately after the fair closes at 10:00 PM. Volunteers who work long shifts greater than six (6) hours will be provided with tickets if requested. Democratic office holders and candidates are expected to spend time in the tent at their own expense. Ice and water will be available for volunteers and guests. 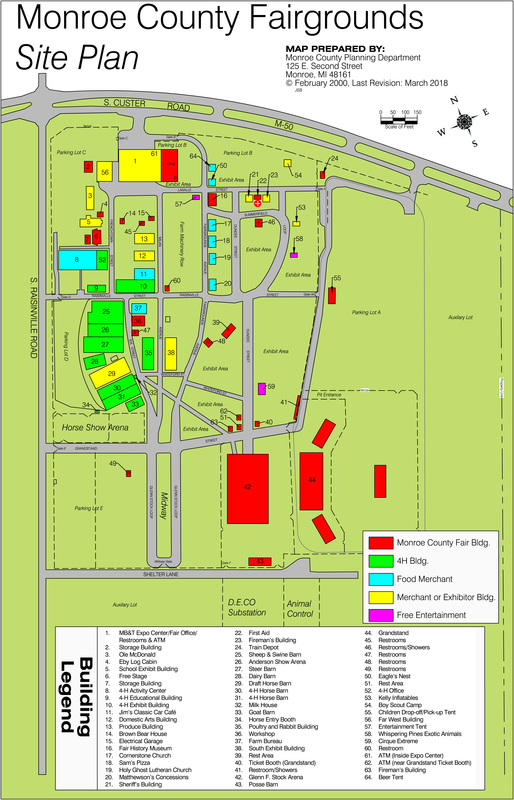 Free parking is available both east of the fairgrounds off S Custer Rd and south of the fairgrounds off S Raisinville Rd. Admission: Adults $6.00, Children 6 thru 12 $3.00 and Children 5 & under with parents FREE; Passbook (buy6, get 1 free) $36.00. Special days: Monday Veteran's Day Any Veteran with proper I.D. will be admitted FREE until 6:00pm, Tuesday Kids’ Day Free Admission until 5:00pm (school age only – up to 17 years), Wednesday Senior Citizens’ Day Any person 65 or older admitted for $2.00 until 5:00pm, Thursday Ladies’ Day All Women & Girls over 12 years of age admitted for $2.00 until 3:00pm.